Have a dad who has given you a love of sea, turf, & sky? Here’s a shareable greeting to make his day! For all you dads out there, here’s to a day honoring YOU! For all that you do: noticed and unnoticed, that uplifts your kids, gives them an experience they’ll never forget, or simply lets them know you’re there for them. 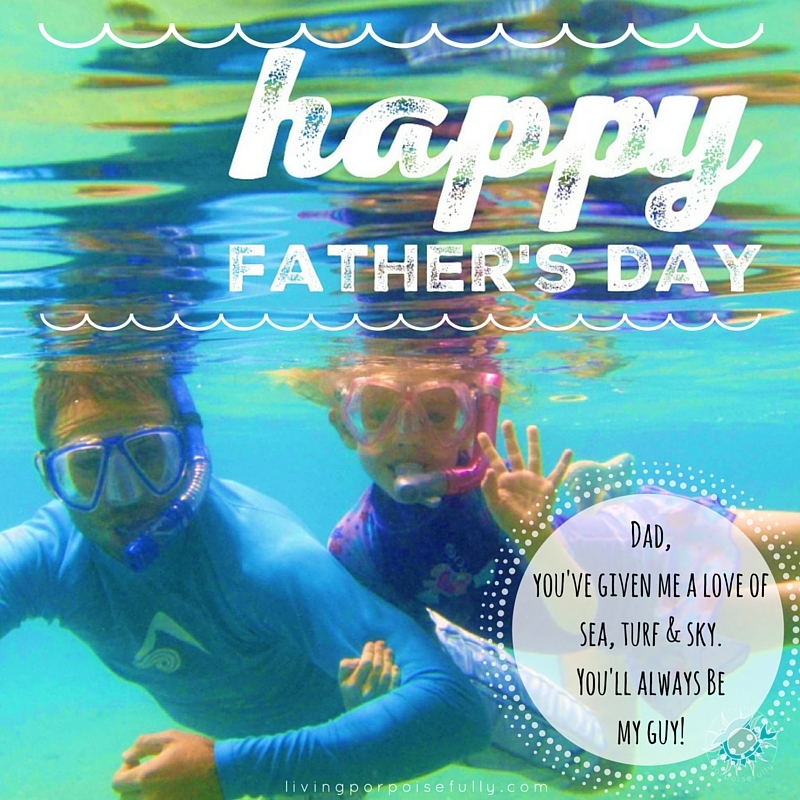 We are thankful to have dads who have taught us each the love of the wild world, whether it was through snorkeling, fishing, diving, hiking, or wildlife watching. Growing up with the chance to have these experiences helped to make us into the nature lovers we are! So if you’re a dad yourself, take pride in all that you do to help your kids grow and love the beauty of the world…and if you know a great dad, take the chance to tell them just how great he is. To make it easy for you to make his day, we’ve made shareable Father’s Day greetings! So go on, spread the love and share the images through email, text, and social media (icons are below for easy sharing). Have a happy Father’s Day cherishing the great dad in your life (and yourself too, if you are one!). Best Father’s Day commemoration I’ve ever seen, and hits home, so well said !!! Love the underwater photo too; great image of the present and memories also! Great blog! A whole new wonderful world for the young ones!! So beautifully written! I love the photo of the snorkelers! Sounds like you have wonderful dads and the dads have wonderful kids!